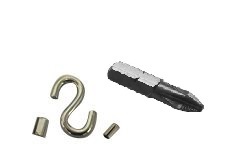 Value Fastener stocks a wide range of items, from power bits to steel zinc spring pins and everything in between. There are a number of fasteners distributors that sell products at a low price, but not all of them offer a quality product. Just because a fastener is available for a low price doesn’t mean you’re getting a deal – especially if the product is low quality. Value Fastener is committed to offering quality fasteners at competitive prices. Browse our selection of fasteners or contact Value Fastener today.